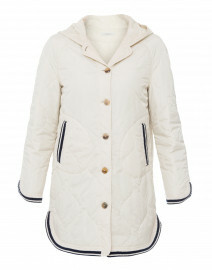 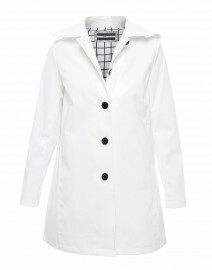 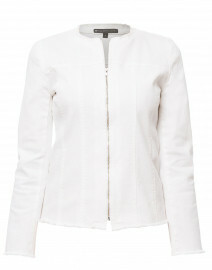 Marc Cain's white jacket is a chic and comfortable piece that is perfect for transitional months. It's cut to a cropped silhouette from double face wool fabric, and finished with studded front pockets. 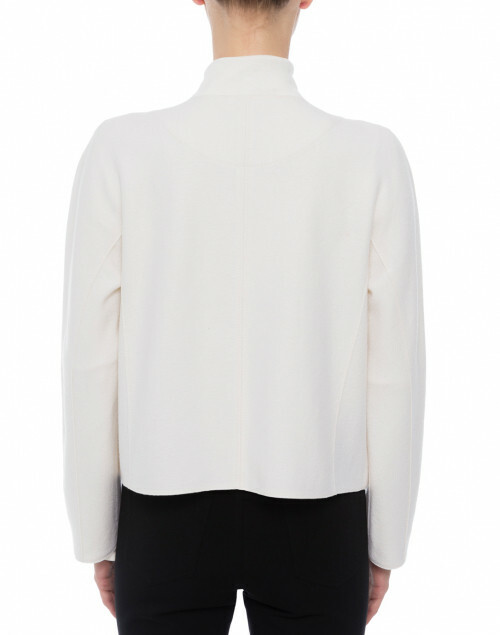 Wear it over a turtleneck and slim trousers for an elevated, casual look. 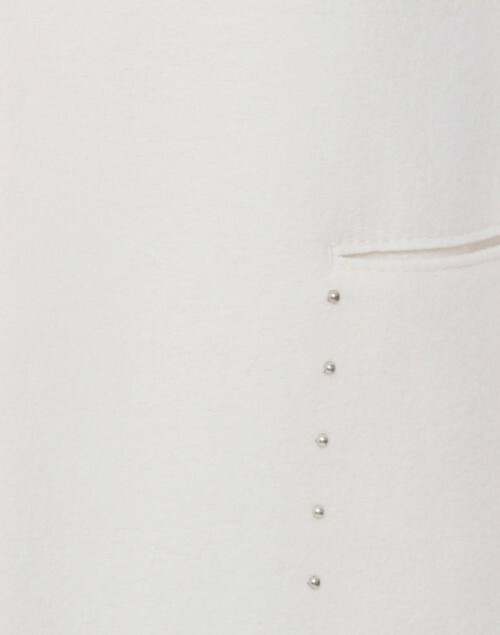 Length 21" 21.5" 22" 22.5" 23.5" 24"
Shoulder Width 14.5" 15.5" 16.5" 17" 17" 17.5"
Bust 34" 35" 36" 36" 37" 39"
Waist 34" 35" 35" 36" 37" 39"
Hip 36" 37" 38" 38" 40" 40"
Sleeve Length 21.5" 21.5" 22" 22" 22" 22"